If you are one of my followers on Facebook, you might have noticed some photo posting about fins. Some wonder why one person has so many fins. Are they for sale? 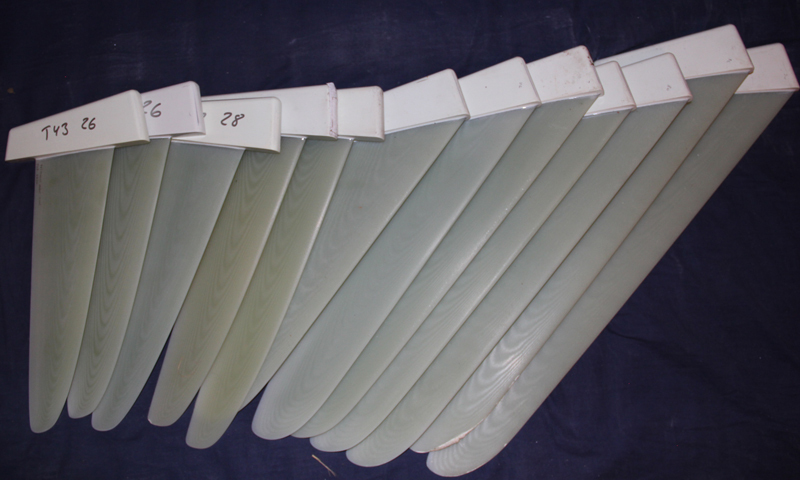 Well since you are reading this blog, you are aware that the fins are maybe the individually most important part of the whole set of speed equipment you own. Tuning the boards with the ultimate fins for every type of water is the key. Sometimes I get questions what fins are the best. 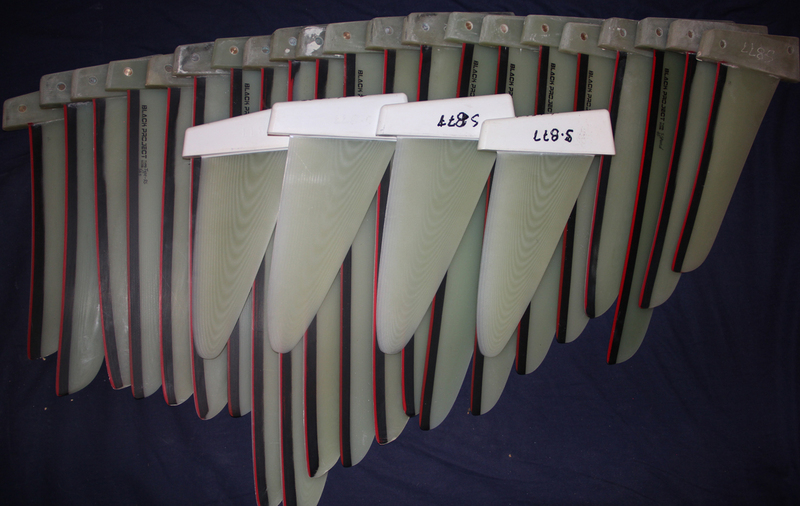 And the absolutely truth is that all fins need to be individually trimmed to each board to each water and wind direction, current and water level. By now I can with emphasis say that I master the water in Weymouth (England), Torkelstorp (Sweden), Orth (Germany) and Karpathos (Greece). They all are different and needs different set-ups. Therefore it is important for myself (considering myself as a world wide speed windsurfer) to have the right fins for the right spots. My recommendations are to buy the full line of fins from one or two fin-makers and then top with selections from others. To know what fin-brand/model that should be your basic backbone; you need to test different fins and set-ups yourself. Maybe it is a good idea to team up with your friends and share fins from a few different brands first. Some fins might work for your friend and will not work for you on the same board and spot, depending on how much pressure you have on the back foot, mast position, sail trim etc. I am soon off for Egypt. The mission was to test new straight fins for some new boards. 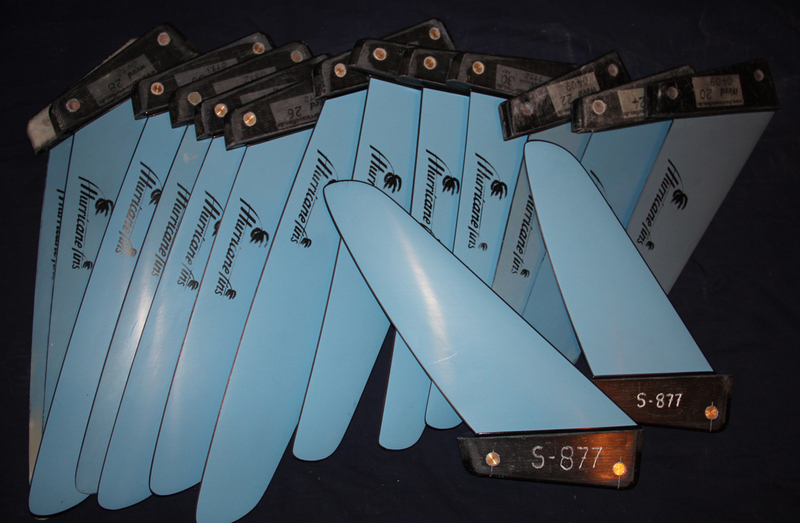 Unfortunately the boards are not ready yet, but the SP63 will work well as a testing platform for some of the new fins. Straight and weeds. Anders you need to go to your nearest FFA meeting. Before this gets out of hand! Very general, I find softer fins easier to ride than stiff fins. But too soft are not good at all. They can spin out easily. But a general answer is not very good. I mean are thinner profiles better than thicker? It all comes down to the individual type of fins. I find BPF Type-S too stiff/thick on the speed boards, but they work well on the slalom boards. And the C3 Venom in bigger sizes are not working on my big speed boards, but are superb on the smaller. But I know a lot of guys that like the Venoms on bigger slaloms. So it all comes down to the board trim. 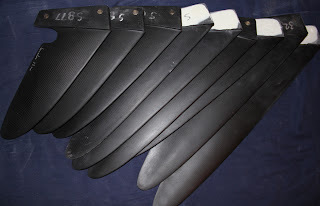 Do you have any old slalom/race/free ride us box fins that you would be selling? I am ridding a 15-20 years old gear and I only have one spare. Thank you for your answer and blog. Yes I have som US box slalom fins... 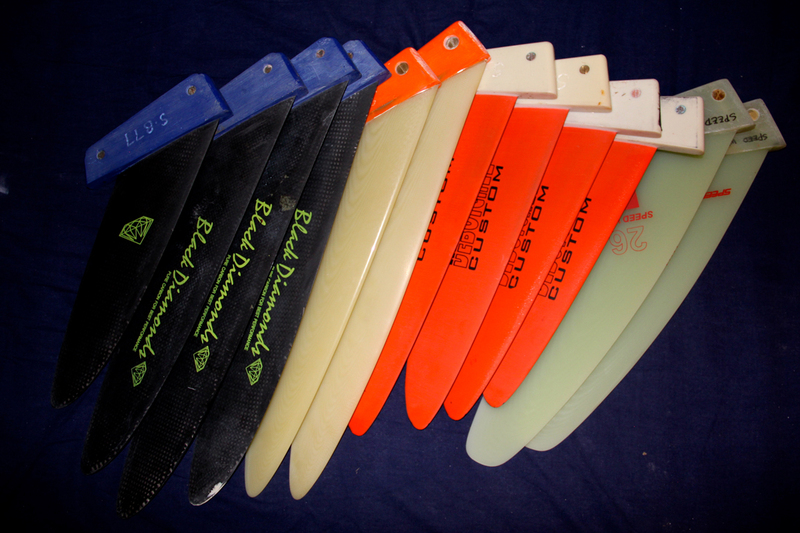 Legendary Rainbow Fins and Maui Fins. I just measured the BPF Type S 29 and 26,5 and those have a profile thickness around 9,5%. My Type R 32.5 11,5 %! 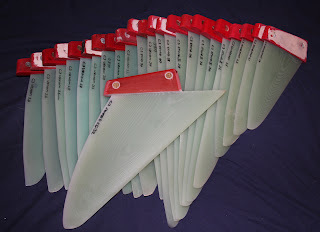 Which thinner speedfin are you using on your speedboards?